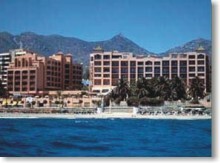 Fuerte Hoteles is the leading hotel chain in southern Spain. 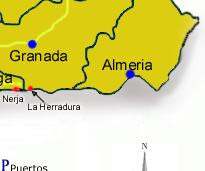 Find the best Andalucia hotels in the following map. Hotel Fuerte Grazalema is situated in a cork tree forest in the heart of the National Park of Grazalema, one of the few remaning protected reserves on the European continent. 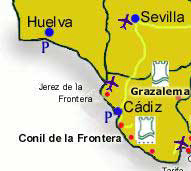 Only 5 Kms away from the beautiful village of Grazalema and at only 1 hour from Jerez airport and 1 hour 45 minutes from Málaga airport. 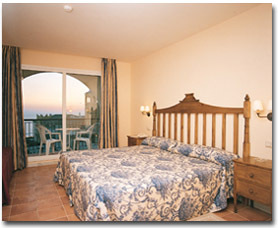 Hotel facilities: All rooms have striking views over the valley of the Guadalete river. 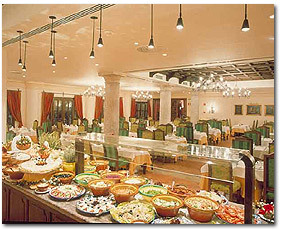 The hotel has a terrace restaurant specialised in local cuisine, terrace bar, pool bar, lounges and limited parking. Conference rooms for up to 350 persons and banqueting rooms for up to 200 persons. The hotel is ideally located for hiking inside the national park or take day trips to the "white villages"; Grazalema, Ronda, Zahara de la sierra, the leather village of Ubrique and Arcos de la Frontera. Room facilities: 77 rooms (single, twins, and family rooms) with air conditioning, heating, telephone, minibar, safety box (extra), piped music, hair dryer, satellite and pay TV and Internet connection. Facilities with charge: Tennis court, paddle-tennis court, bicycles for rent. 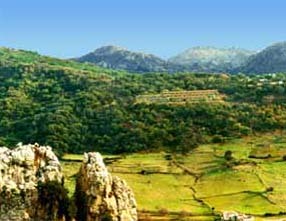 Additional Activities in the Area: free or guided treking, birds and plants watching in the National Park, horse riding, mountain biking, visiting Grazalema, Ronda, the "White Villages" (Zahara de la Sierra, Ubrique, Arcos de la Frontera), Sevilla, Granada, Cordoba, Málaga, Gibraltar and North of Africa. Hotel Fuerte Conil is situated on the beach front in one of the few remaining unsploilt areas on the Cadiz coast, next to the village of Conil de la Frontera and at only 50 minutes from the airport of Jerez. Hotel Facilities: ecological hotel, built in local Andalusian style, surrounded by 30.000 m2 subtropical gardens, reforested with local plants. Restaurant grill by the pool specialising in fish and rice restaurant, show bar, cafeteria, lounges, meeting rooms for up to 300 persons, syndicate rooms and banqueting rooms for up to 300 persons. Limited parking. Room Facilities: 250 rooms with air conditioning, heating, telephone, minibar, safety box (extra), piped music, hairdryer, satellite TV, Internet connection. Included Facilities: Covered heated pool with jacuzzi, outdoor pool, children's pool, sunbeds by the pool, mini club, entertainment. Facilities with Charge: Hairdresser, therapy and beauty center, therapeutic massage, facial and body treatment, sauna, 2 tennis courts, scuba diving center (PADI) and bike rental. Additional activities in the area: sailing, trekking, horse riding. Discounted rates at most of the golf courses in the area. 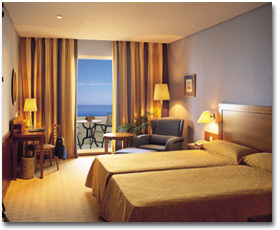 Location: The Hotel is ideally situated to take a day trips to the typical "white villages" of Andalucia such as Vejer de la Frontera, Medina Sidonia, Cádiz, Puerto de Santa Maria, Arcos de la Frontera, Sevilla as well as Gibraltar and the North of Africa are very attractive destinations. Hotel Fuerte Miramar SPA is situated in the center of Marbella and on the beach font at only 30 minutes from the airport of Málaga. Hotel Facilities: Modern and fuctional hotel opened in may 2001, with restaurant, piano bar, lobby bar, shop, lounges, conference rooms for up to 350 persons and banqueting rooms for up to 250 persons. Room Facilities: 226 rooms with air conditioning, heating, telephone, minibar, safety box (extra), piped music, hairdryer, satellite TV, pay TV and Internet connection. Included Facilities: outdoors heated pool, sun beds by the pool and on the beach. Facilities with charge: garage, cibercafe, from 15th December 2001, hydrotherapy center/SPA with hairdresser, solarium, individual massage cabins, sauna, turkish baths, vichy shower, Spa, dynamic pool, jacuzzy, hydro-massage, pool, circular shower, sea-weed bath and beauty center. Additional activities in the area: The old town and shops are only a few steps away. Discounted rates at most of the golf courses in the area.